With the rise in crime and people trespassing into properties, there is a rise in demand for surveillance camera or better known as CCTV. 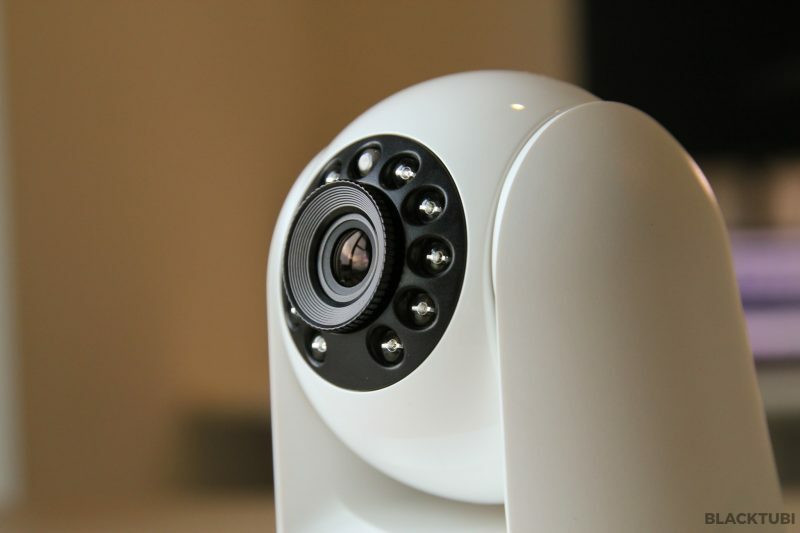 However, installing a conventional CCTV camera system is costly as it would require pulling wires and you need to hire a contractor. 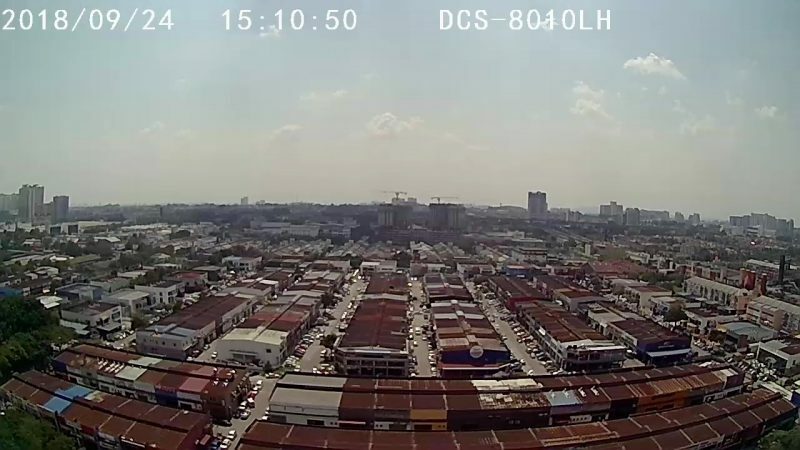 A conventional CCTV system also lacks the flexibility where you can review your footages and live stream smoothly when you are out from home. That’s where an IP camera comes in as they are really simple to install. 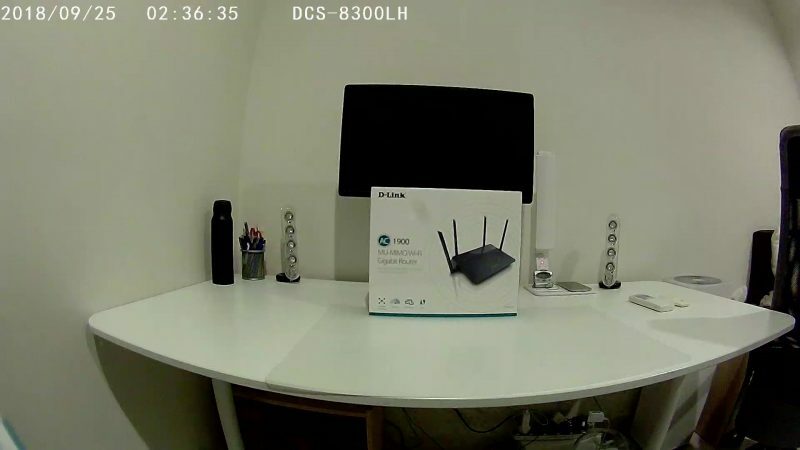 Most IP cameras also comes with really good apps. 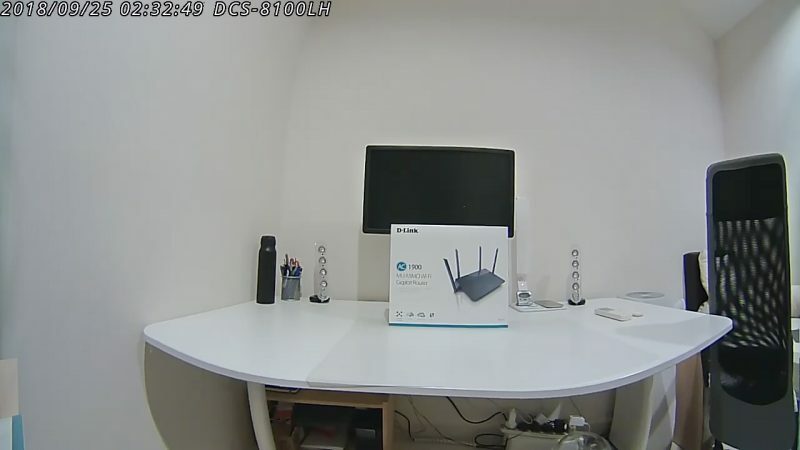 D-Link is one of the well known IP camera manufacturer and they recently released a new lineup of cloud wireless IP camera with cloud recording feature. 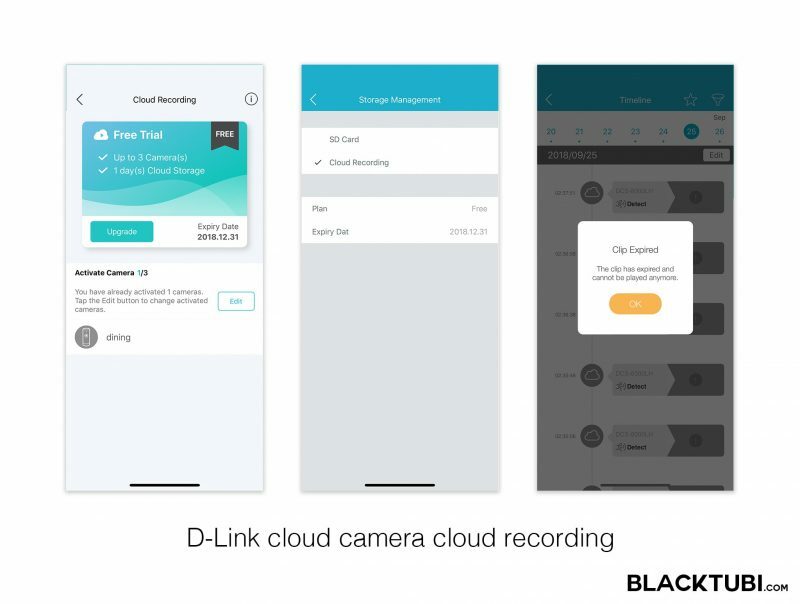 The cloud recording allows the recorded footage to be stored in the cloud in D-Link’s server and it comes with various advantages such as timeline view and secure storage. 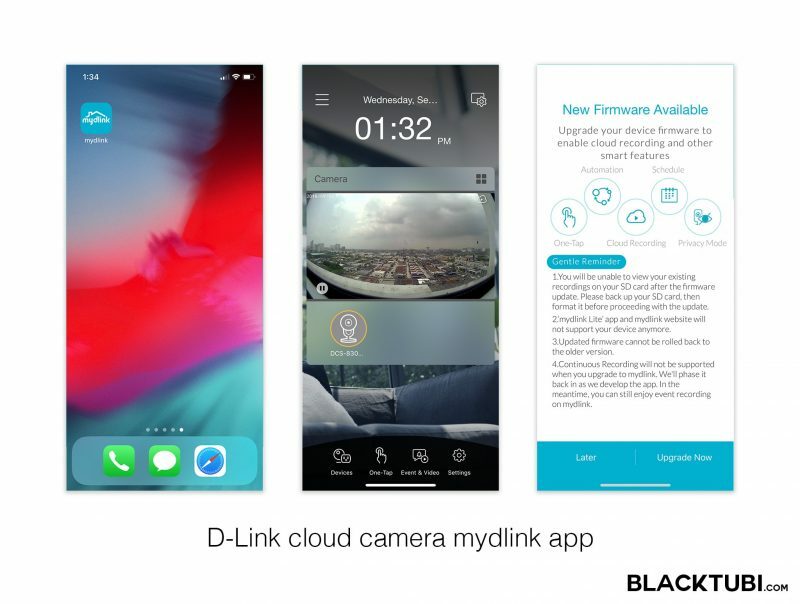 D-Link also promises that their mydlink app will be user-friendly. 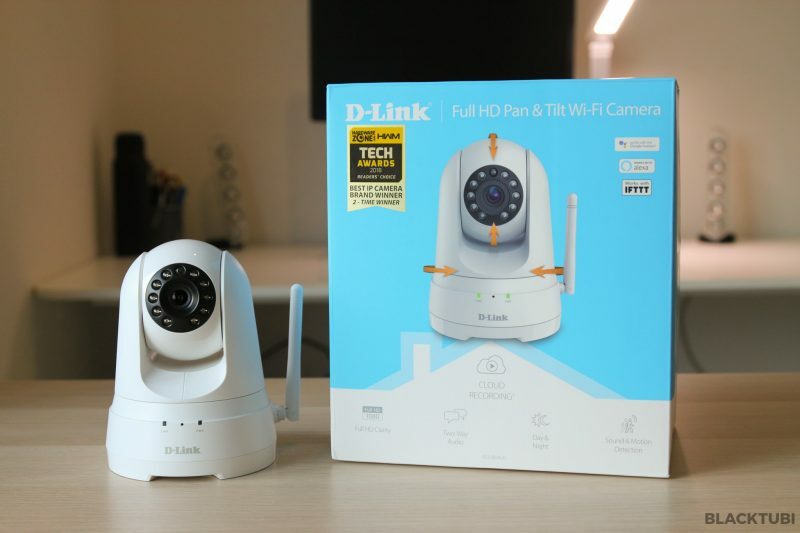 Let’s take a look on their latest lineup of D-Link cloud camera. 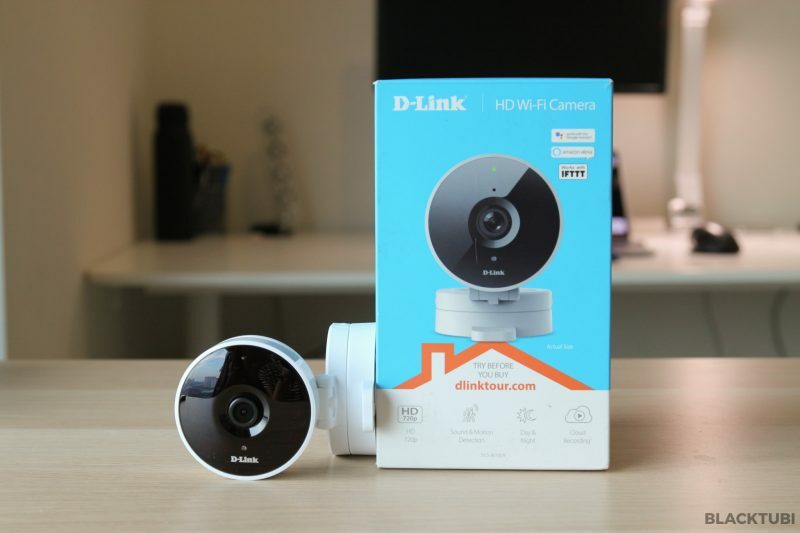 D-Link launches 5 new cloud cameras as part of this new cloud ecosystem. Their pricing ranges from less than RM200 to slightly less than RM500 on the most expensive model. There are several differences between the models but they got the basics rights. 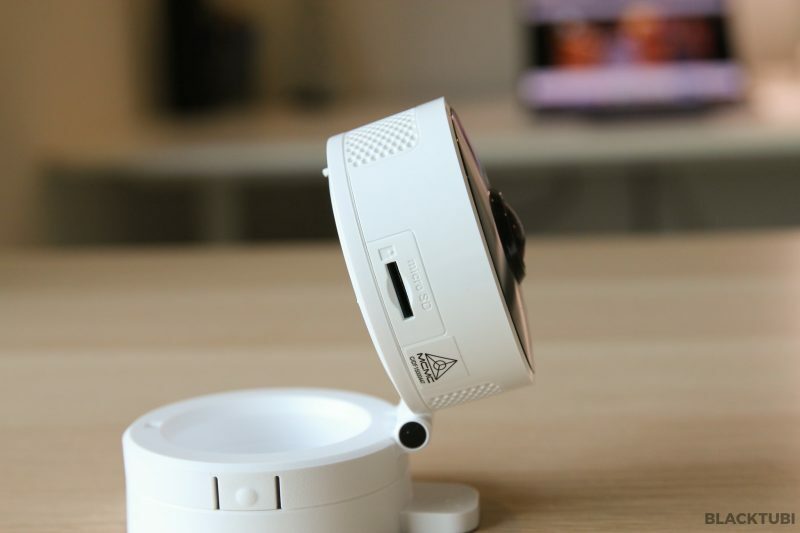 All D-Link cloud camera are powered using MicroUSB so the power adapter is user replaceable shall that become broken or damaged. 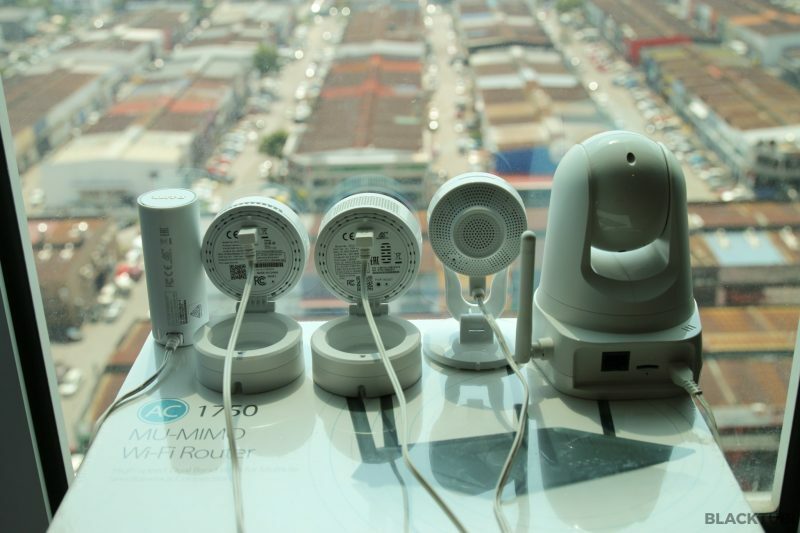 All of them are also wall mountable and D-Link included mounting screws and wall plug as part of the package. All cameras also come with night vision using infrared illumination. 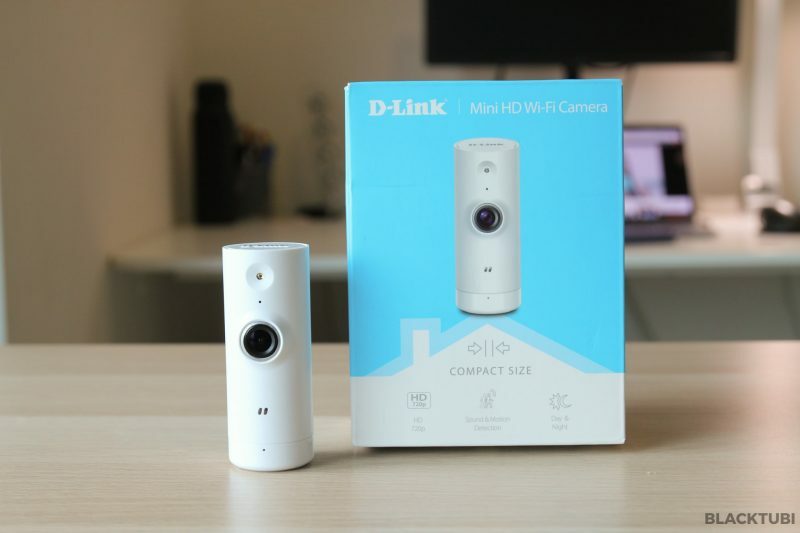 Let’s have a look at the mydlink app before we take a detail look at D-Link cloud cameras. 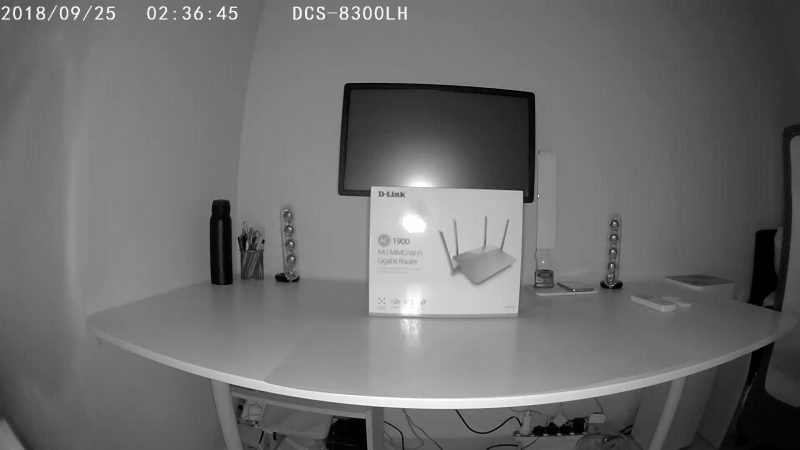 Having a really good app is really important for an IP camera considering that we do most of the monitoring using the app. How we define a good app is depending on the responsiveness of the app and the how robust is the recording solution. The app needs to be simple to use, stable and reliable. 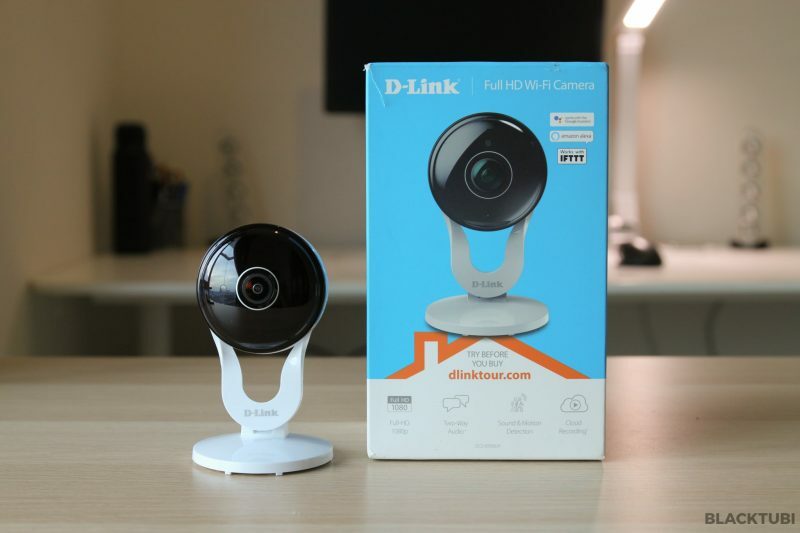 Unlike previous D-Link cameras, this new lineup is designed to be used with the new mydlink app available for Android and iOS. The new app is leaps and bounds better than the old mydlink lite. It is much more user friendly and it is a lot faster than the old mydlink lite app. Navigating around the app and viewing recorded footages is very fast and smooth. 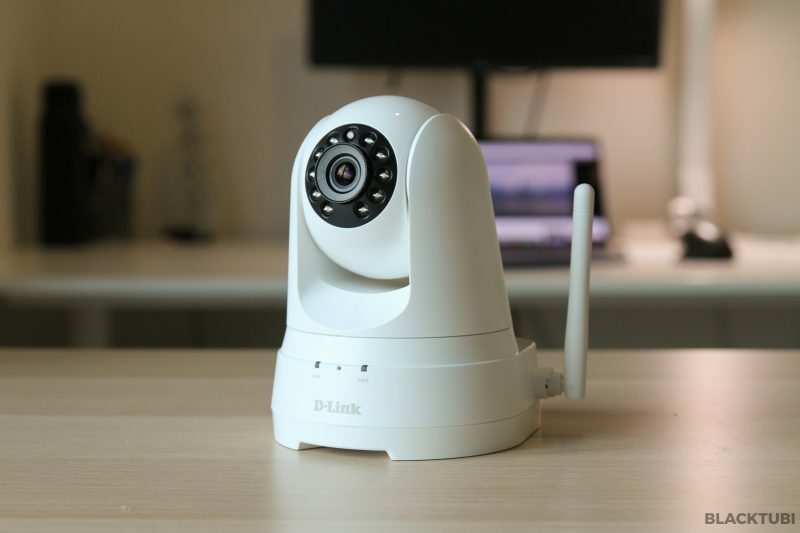 Adding the cameras to your D-Link account is just a matter of few clicks. Every cameras come with a unique QR code. 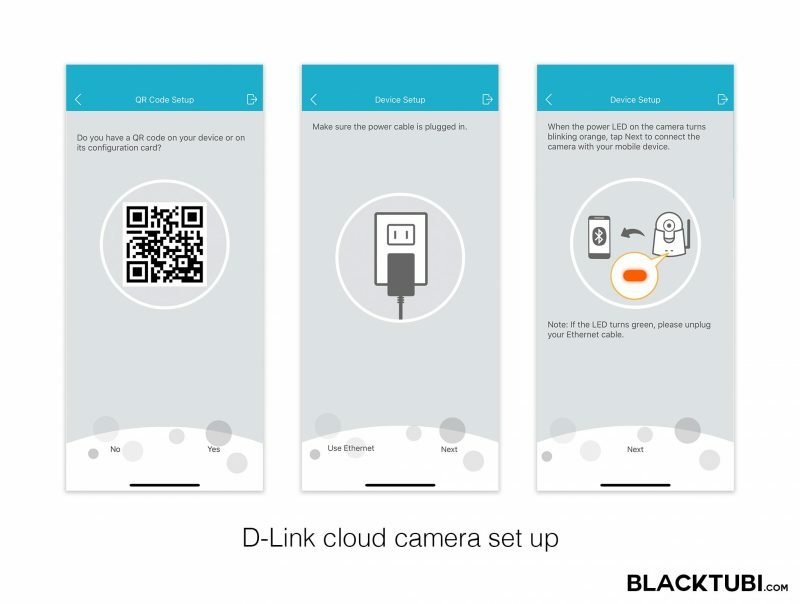 You can scan the QR code on the app and it will automatically link the camera to your D-Link account. Make sure you have Bluetooth enabled as the set up process is done via Bluetooth. Once the camera is added to your account, you can login to the same account on any other phones and you can see your camera there. 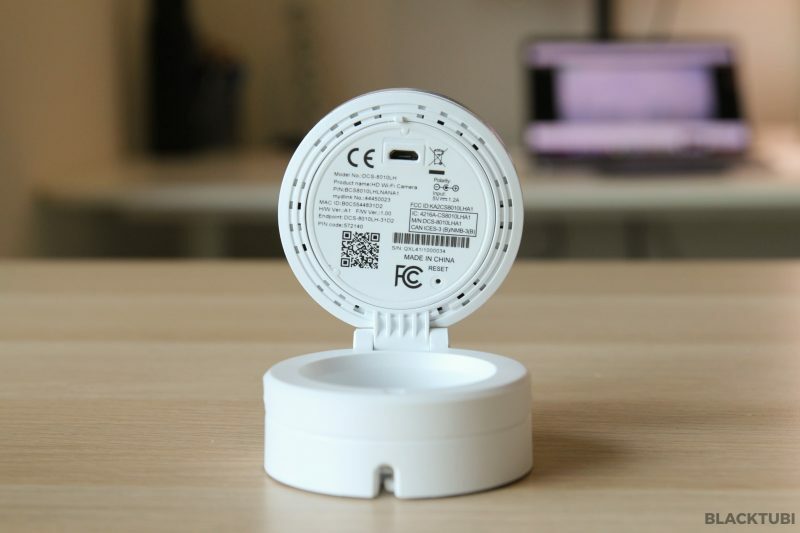 The app will also guide you to connect the camera to your home’s wireless connection. D-Link also make management really easy as everything is controlled using the app. 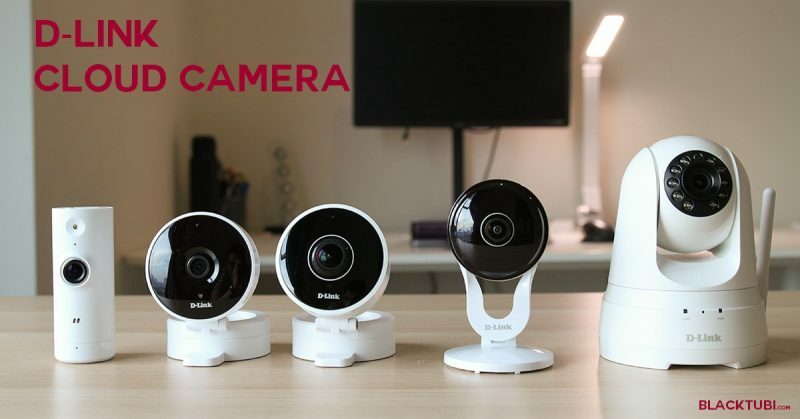 The cameras will also automatically update themselves to the latest firmware with the latest improvements and security updates. 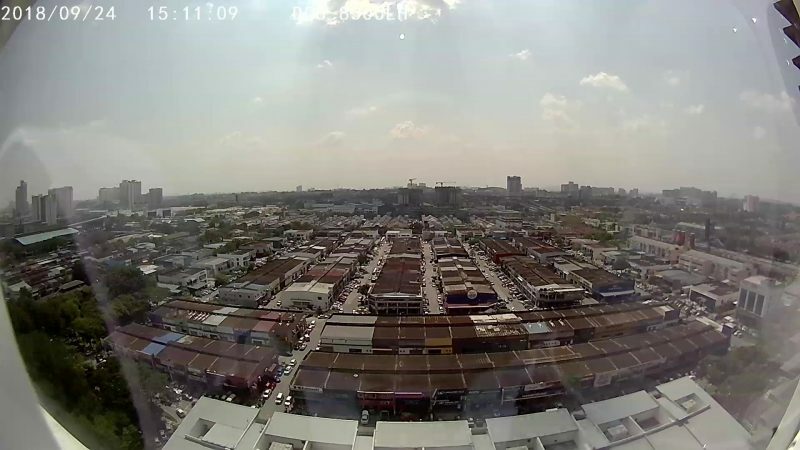 Being a cloud camera, there is nothing more important than being able to view the video stream remotely. 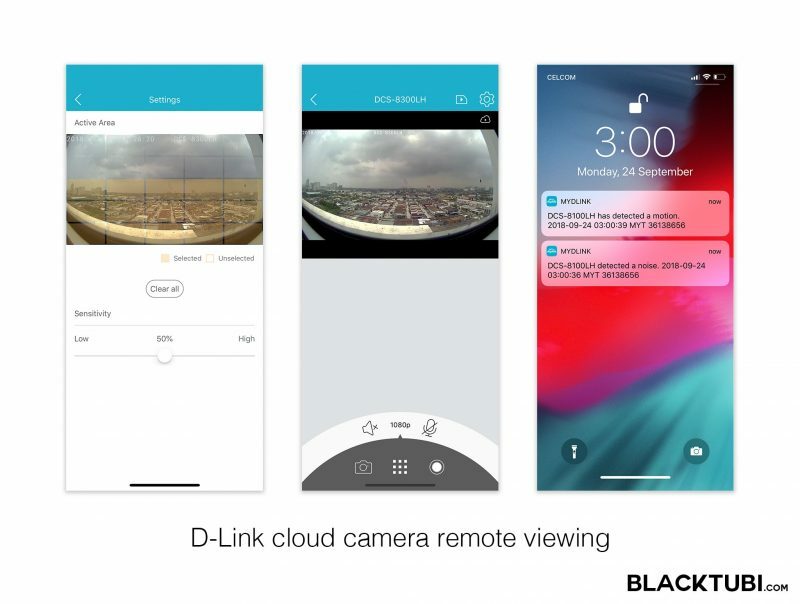 As this is a cloud system, there is no need to manually configure your router as these are cloud cameras will automatically connected to D-Link’s server. They will work as long as there is an Internet connection and we have verified that it will work with 4G network as well. Remote viewing is rather smooth even viewing remotely on a 4G LTE connection. There is a small 1-2 seconds delay in the stream but that is expected. As all cameras come with a microphone, you can listen to the sound at the place you put your camera as well. 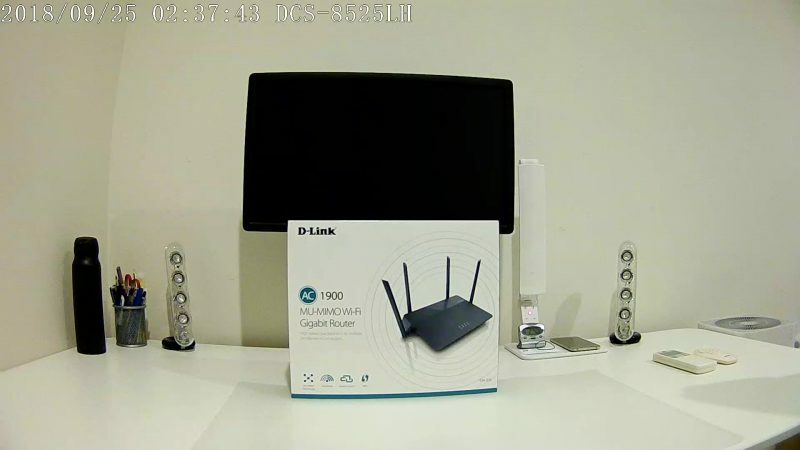 D-Link cloud camera come with motion detection which it will send you a notification and recording footage when it senses a motion. You can select which area you want the motion detection to be effective using the app. Certain models also come with sound detection in which they will notify you when loud noise is detected. The app is not perfect and my biggest complain being that I am unable to view more than 4 streams simultaneously. But, that is not really an issue if you have less than 5 cameras. There is also a small delay of 1-2 seconds when you click on a stream until it becomes visible. They are not big issues but I hope that it can be improved. 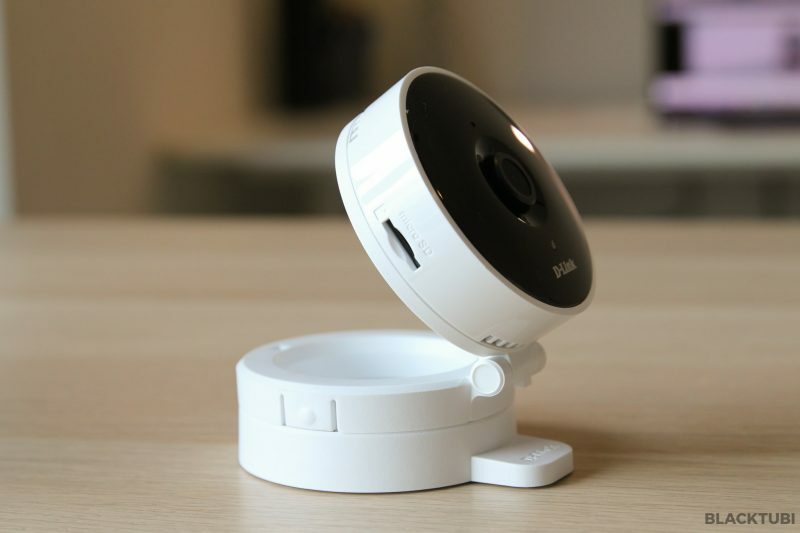 Cloud recording is the key feature of the new D-Link cloud camera. Conventionally, you have to record your footage to a MicroSD card for typical self-installed IP cameras. However, MicroSD card is not fully tamper-proof as a malicious person can simply remove the MicroSD card or simply just remove the entire camera. In that case, you would lose the recording footage. However, cloud recording store the footages in the cloud server instantly. You still can review the recorded footage even when the camera is stolen or damaged as it is stored in the cloud. 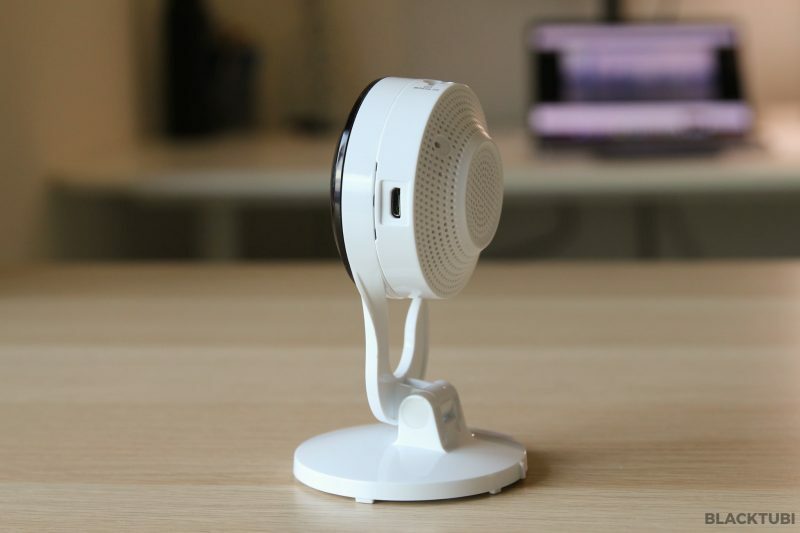 Currently, D-Link cloud camera will record a footage when it senses motion. There is a timeline view in the app where you can have a good view of the time and events happening. 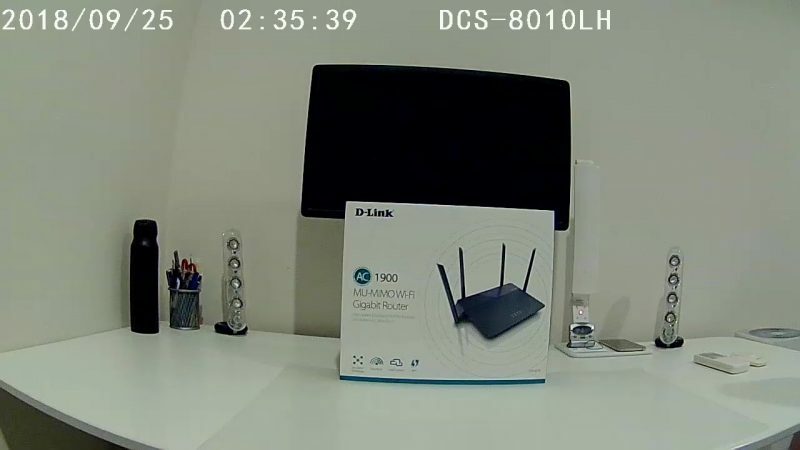 D-Link have not make continuous recording available currently as that will come in a future upgrade. Besides, the timeline feature is handy and it works well. You can see what is the time that you have things moving and the server is very fast in delivering the footage. 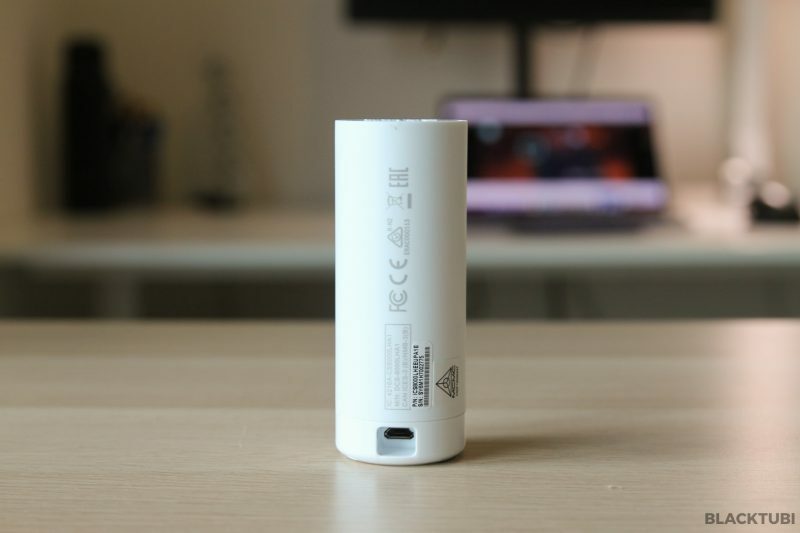 Cloud recording can be disabled if you have privacy concerns. But, rest assured, even when cloud recoding is disabled, you still can view your live stream remotely using the app. 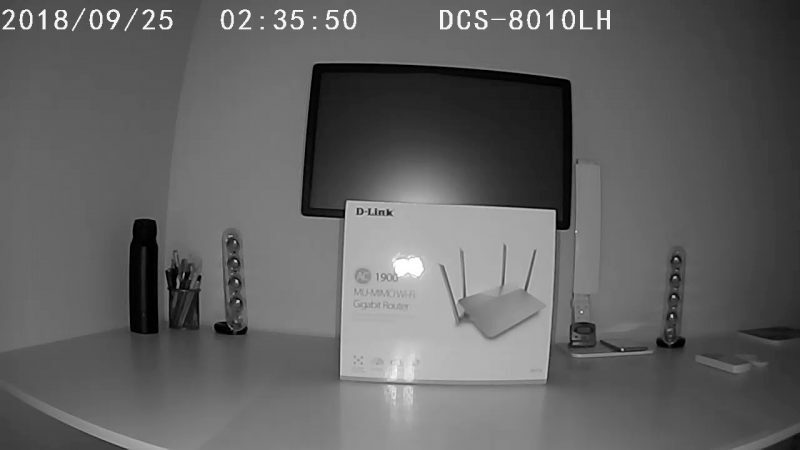 It is just that the stream is not stored in D-Link’s server. 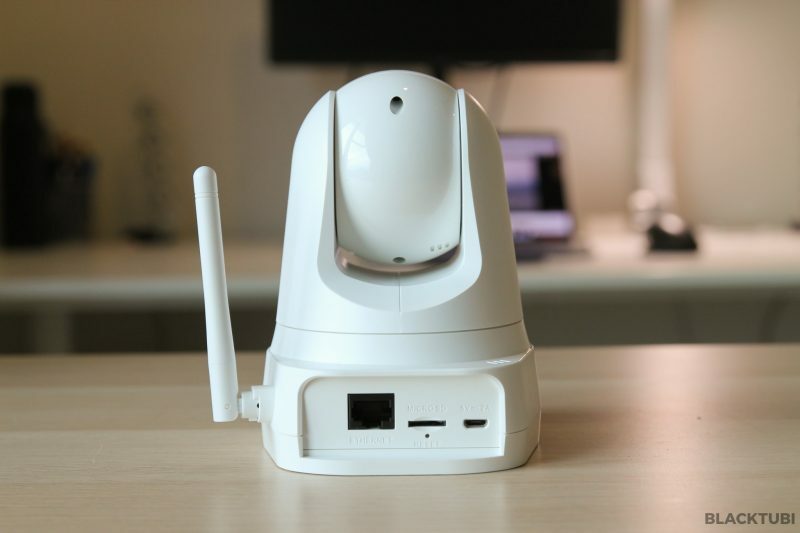 As a starter plan, D-Link cloud camera comes with a free tier which include recorded footage for 3 cameras and 1 day of recording. This is pretty generous considering that footage is stored in the cloud. However, 1 day means that only footages recorded in the day before is available and it doesn’t mean 24 hours of combined recorded footage. However, you are able to upgrade to more storage or you can store the recorded footage to a MicroSD card on all models apart from DCS-8000LH. This is the most basic and entry level model of the five models. 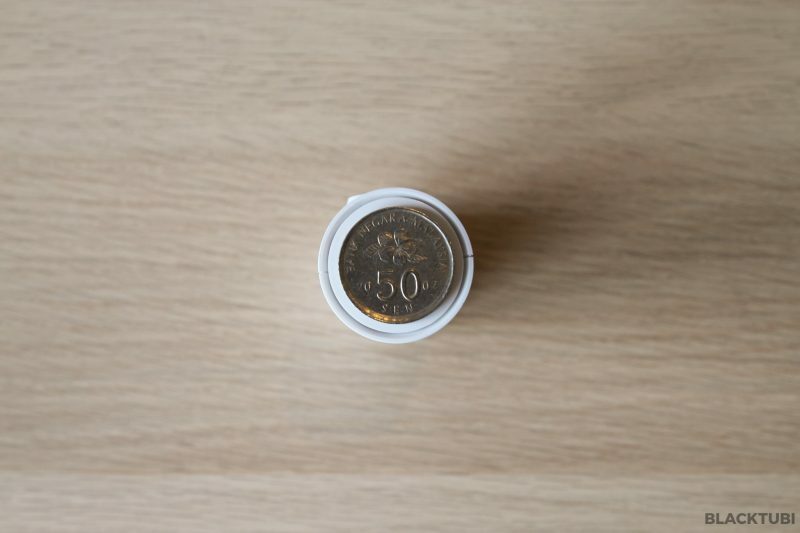 It comes in a cylindrical shape and it is super small in size. Believe it or not, this is actually my favorite camera due to its small size. I can put this anywhere in my house and it will not be obstructive at all. However, It does not have a MicroSD card so it can only support cloud recording to the mydlink cloud service. It may be a bit of let down for a lot of people due to the lack of storage. But, if you do not require constant recording, it is actually a really good camera. There is nothing fancy about the picture quality considering that this is a 720p camera. But, the image is sharp enough to recognize faces. The 120º/120º lens also allows you to have a pretty wide view of your recording area. There is also Infrared night vision on this camera. The DCS-8010LH actually comes with a very similar specifications like the DCS-8000LH. It has the same 720p camera but with a different 90º/120º lens. The design is much bigger and it is directly wall mountable. Besides, the entire camera is rotatable so you can point it to the angle you want. The biggest different DCS-8010LH compared to DCS-8000LH is the MicroSD card support. It allows you to record footages in the camera directly if you are not a fan of cloud recording. The picture quality is also very similar considering it has the same video resolution. I think the camera is slightly better as the wordings on the second image is sharper but that may be due to the narrower lens allow me to see more details. 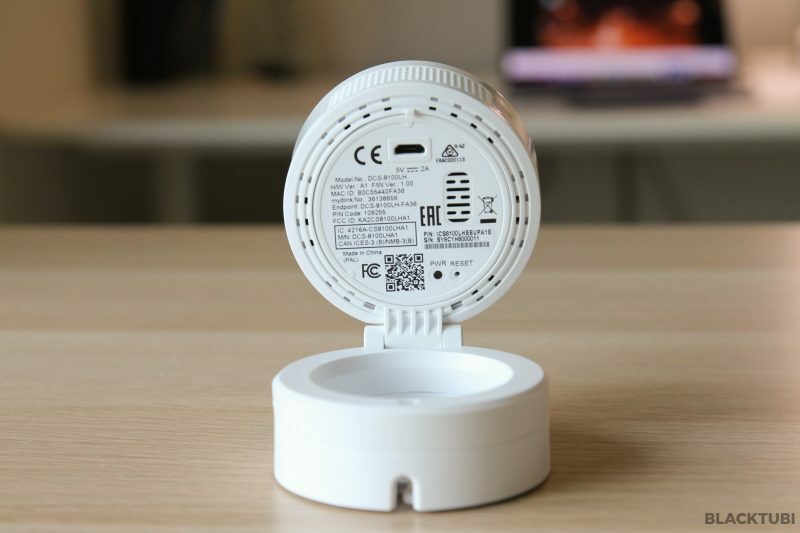 The DCS-8100LH comes with a similar design like the DCS-8010LH. The only different here is the specifications and the camera lens. 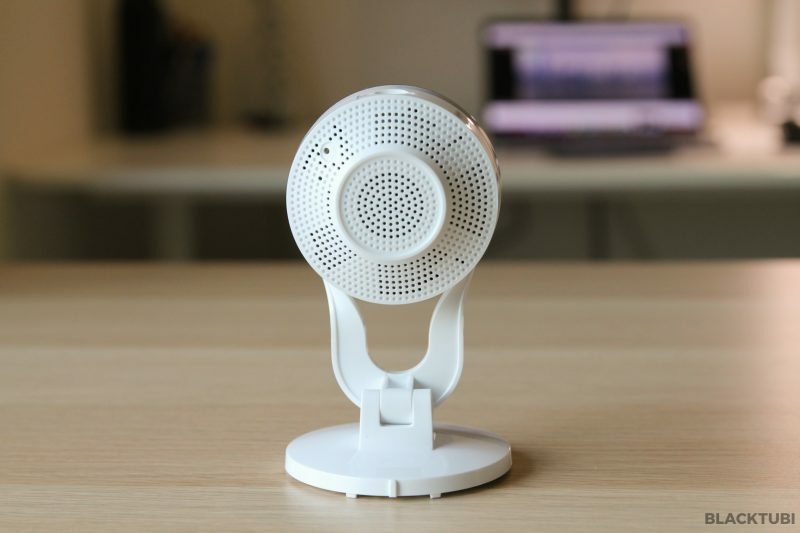 Over here, it supports two way communication with a speaker right behind the camera. You can talk to the people at the scene where you place your camera. Like the DCS-8010LH, it is also directly wall mountable and the camera itself can be rotated to have the best angle to view your scene. 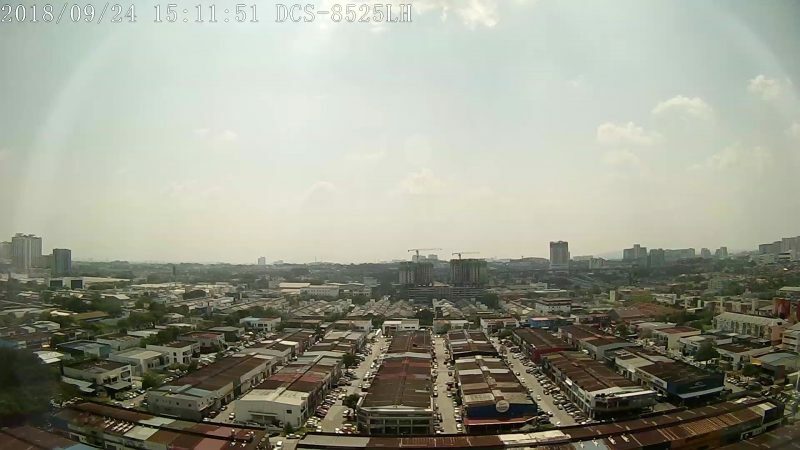 The DCS-8100LH comes with a super wide 180º/180º lens which allows you to view your entire scene. The first thing that you instantly notice from the image is how wide the lens is. 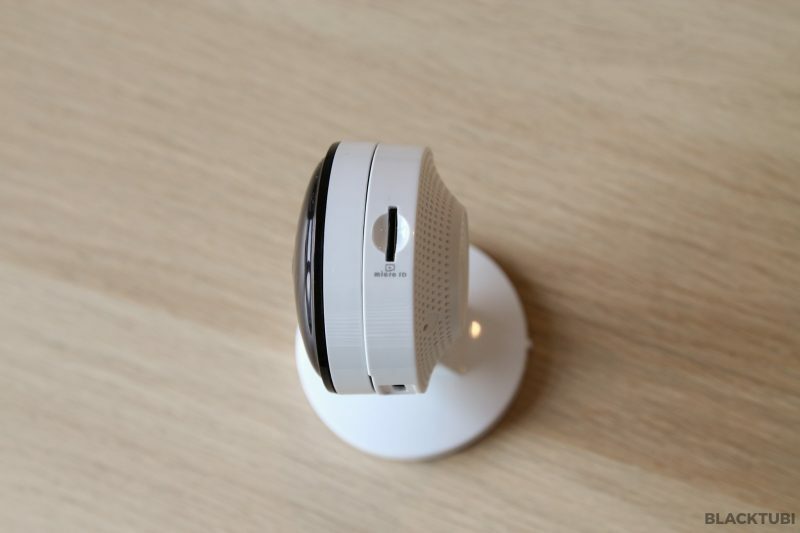 With a field of view of 180º/180º, it is literally a fish eye lens. 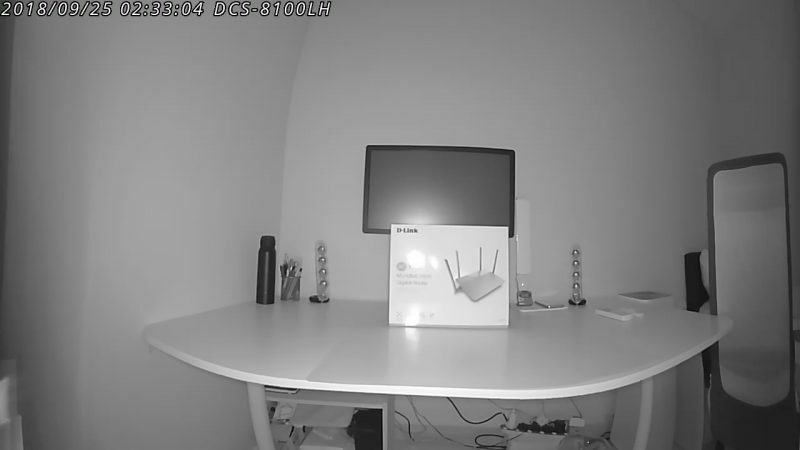 This camera would be optimal if you want to monitor a large area such as an entire shop or a small factory. However, it may be difficult to make out the small details due to how wide the image is. I suggest this camera to be used as a wide area monitoring. The DCS-8300LH comes in a totally different design. I think it looks slightly smaller than the DCS-8010LH and DCS-8100LH. The biggest difference here is the camera as it supports up to 1080p resolution. With that, you can definitely see more details in your picture. The field of view is also really optimal at 137º/167º, slightly wider than the DCS-8010LH and DCS-8100LH but not too wide like the DCS-8100LH. I like this model a lot due to the field of view of the lens and the 1080p resolution really make a difference. 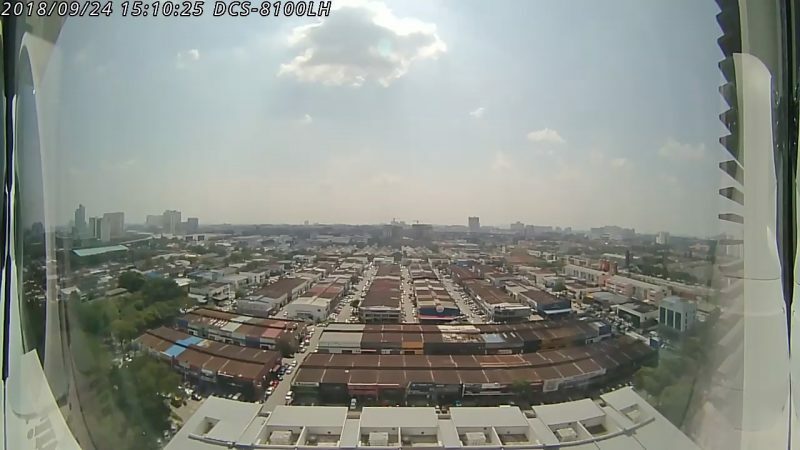 First thing that you would notice from the footage is how much sharper the image actually is. You can actually make out the small details in the image easily. Besides, you can see that the lens is really optimal as you can see your scene rather well but not too wide until it distorts the image. 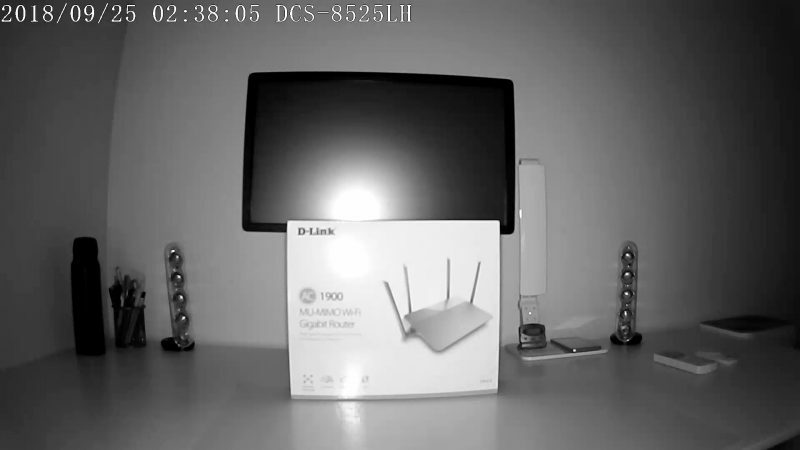 The DCS-8525LH is the one with the biggest difference from the other models. It support pan and tilt which both can be remotely controlled using the app. It is also the only model that comes with an Ethernet port shall you require more stability in your video stream. The camera on this unit is very different as well. It supports 1080p resolution and the field of view is 114º. The camera lens can be focused by twisting the the lens in order to have a sharper view of your subject. It also have a more powerful Infrared illumination so you can see further in your footage. The image may appear bigger as the field of view of this model is 114º. As this camera support pan and tilt, there is no need for a wide lens. In exchange, the image from this camera is much sharper and you can see more detail. This is evidenced in the second picture where you can actually read the words on the box. Not to mention that this camera supports Full HD 1080p resolution, you definitely able to make out more details with the additional pixels. The control for the pan and tilt can be done remotely on the app. 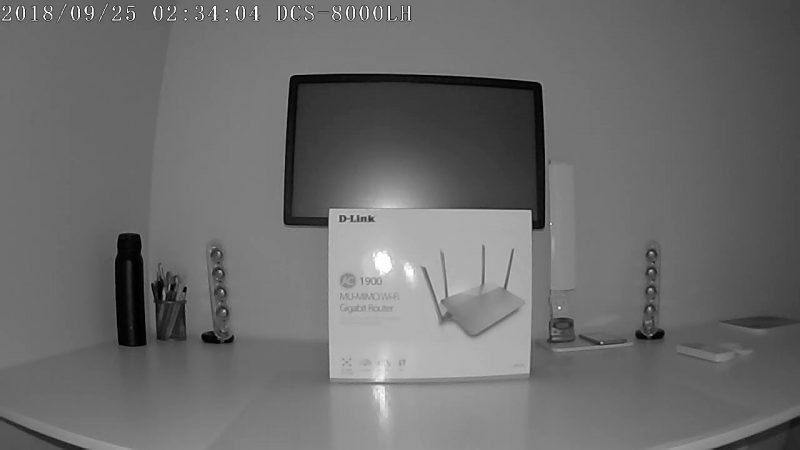 D-Link cloud camera is definitely a step in the right direction. 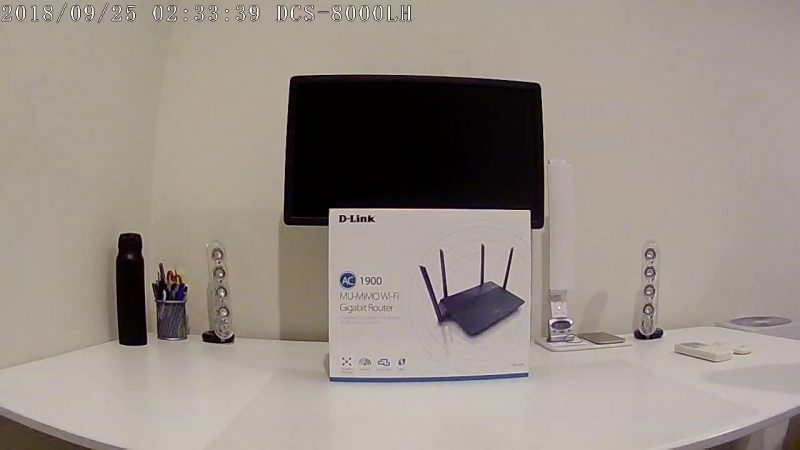 It got all the basics right where you can view your footage reliably anywhere as long as you have an Internet connection. The cloud recording feature is also handy as I can review footage quickly from anywhere and download to my phone if required. The design of the mydlink app is also really easy to use with plenty of features. Out of the 5 cameras, there is definitely a model that suit you. They all have different specifications and there is no best ones. They are all designed to fit different role. 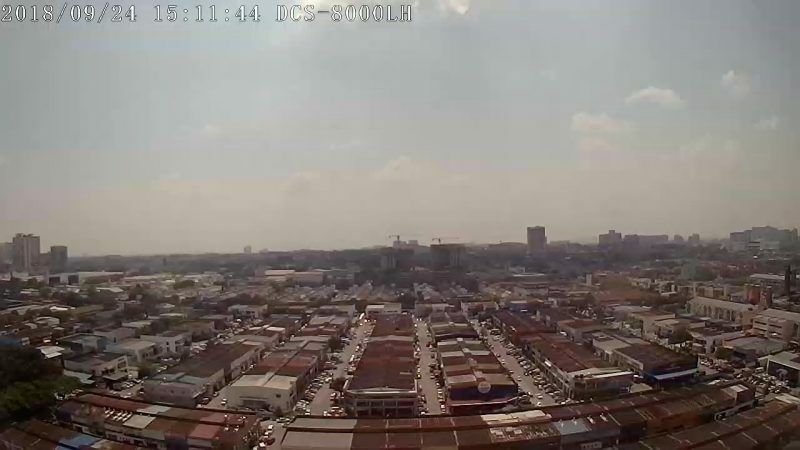 The image quality is fine but I do hope that all model support 1080p considering that even a cheap dashcam can do 1080p now. 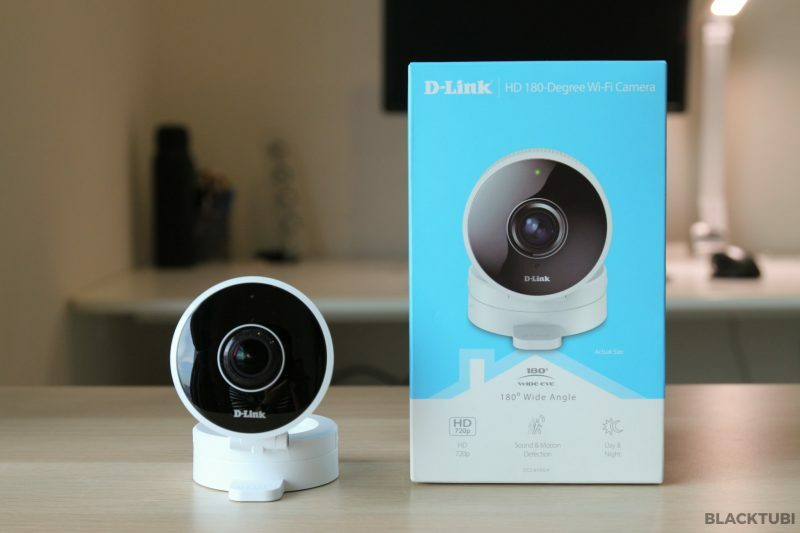 As for pricing, they are all priced reasonably considering D-Link is a reputable company that they won’t stop supporting the cameras. The cloud service will keep running unlike other smaller brands once they stop supporting the service, you can no longer view your camera footage.